The monument is located within the right-side of the Shiseimon Gate. 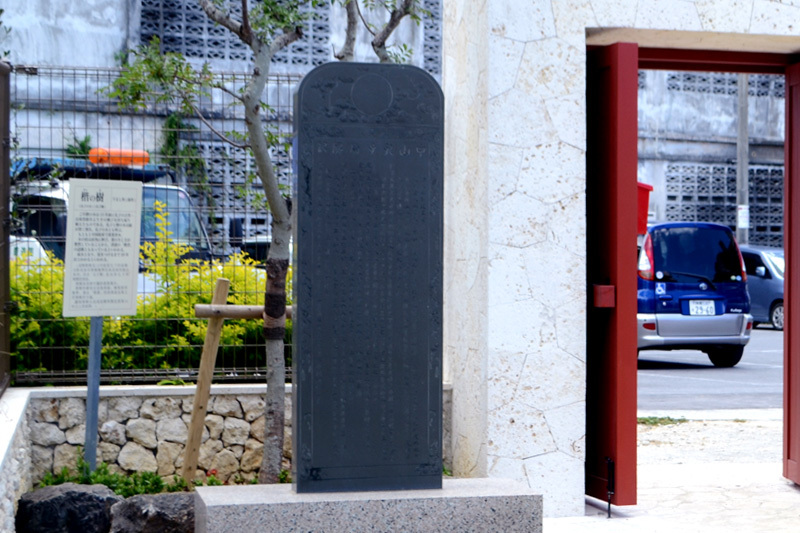 It was restored in 2007 using the engraved print from the original stone monument inscribed by Tei Junsoku. Tei Junsoku had inscribed it in the process of building the Kume Shisei-byou. It is inscribed that a request was made to King Shoutei, along with the construction date and the names and titles of the people involved in the monument’s erection. A portion of the original monument that was damaged during the war is currently kept in the Meirindo.